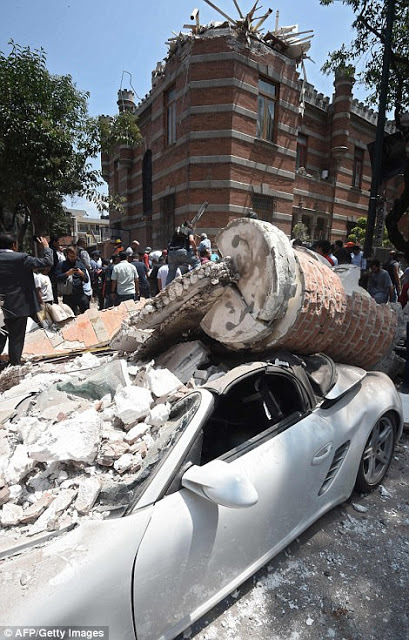 At least 49 people were killed when a powerful earthquake rocked Mexico on Tuesday, toppling buildings in the capital and sowing panic on the anniversary of a devastating 1985 temblor. 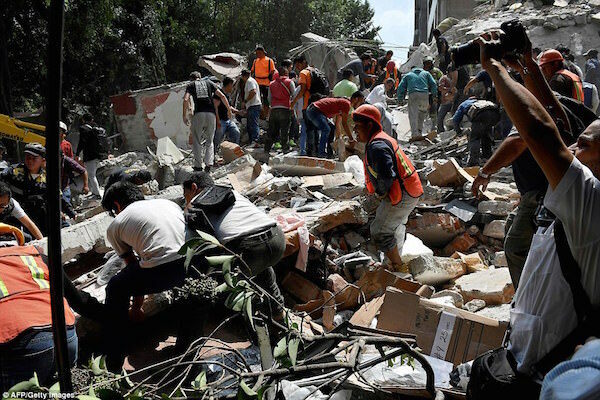 The preliminary toll from the authorities looked certain to rise, however, as emergency crews and hundreds of volunteers dug through rubble in Mexico City, a megapolis of 20 million, looking for survivors and bodies. The US Geological Survey put the quake`s magnitude at 7.1. “I`m so worried. I can`t stop crying. It`s the same nightmare as in 1985,” one resident in a plaza in the capital, Georgina Sanchez, 52, sobbed to AFP. The quake – which occurred in the early afternoon, hours after city authorities had conducted an earthquake drill – caused most of its damage in the center and south of the sprawling city. 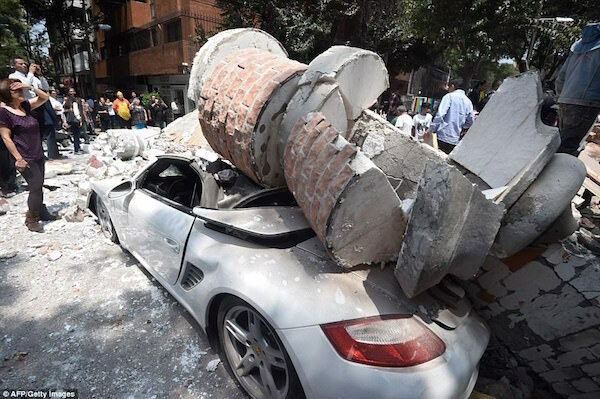 Several buildings were reduced to debris and cars were flattened by falling stonework. Scenes of chaos permeated the city, with traffic jammed to a standstill and anxious people running between the vehicles, as ambulances tried to make headway, sirens squealing. 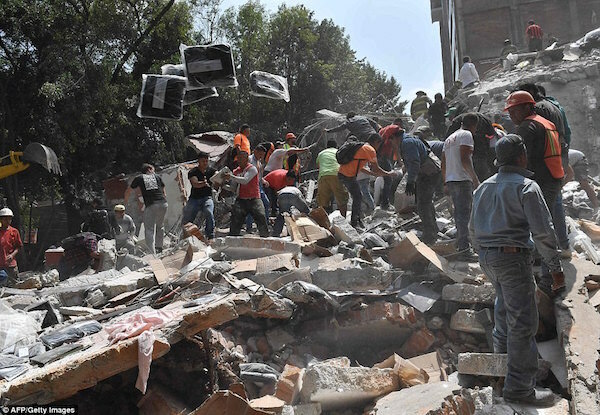 In several locations, people were seen clambering on buildings that were now piles of stone and tangled metal to seek survivors and bodies.The disaster immediately recalled the 1985 quake in which more than 10,000 people died, escalating panic among the population. 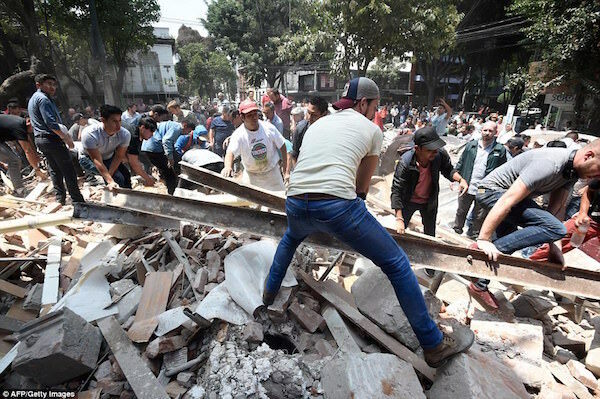 Jorge Lopez, a 49-year-old Spaniard living in Mexico City, said that when Tuesday`s quake happened he raced to the school in the central Roma district where his children aged six and three were, to find it collapsed but his offspring safe if terrified. “It`s uncontrollable. You can`t do anything against nature,” he said. At one collapsed building in Roma, dozens of people clawed at the rubble as they waited for the arrival of heavy machinery to move the heavy chunks of stone. Officials called out for more volunteers, and for water. Unconfirmed social media posts suggested the city`s international airport had closed because of damage. 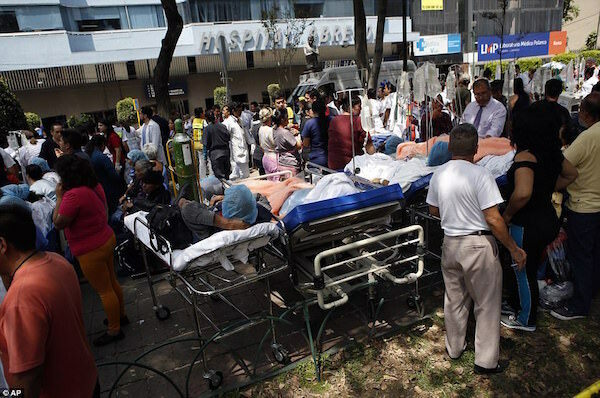 Officials in countries in the Americas began to react to the disaster by offering to help.